It often seems as though there are just not enough hours in the day to get everything you want done. For instance, you’ve just had your kitchen replaced or you’ve just had a big tidy up in your home to save space but now instead of saving space, you are surrounded by bags of rubbish that is crowding up your home. Does any of these situations sound close to home? Although you can keep letting the days pass by without doing anything about your problem, what’s the point in making your life miserable and your home a mess when you could very easily deal with it? 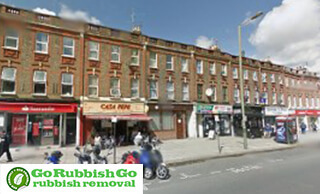 Hire our professional rubbish removal East Finchley service now and solve your problems! Let us sort your mess out. 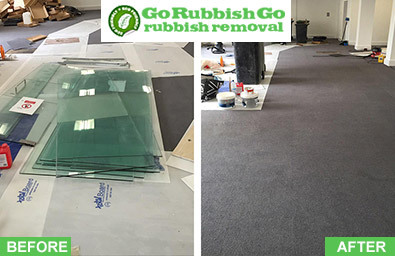 To get the best N2 rubbish clearance service, simply call 020 8610 9182 today for a free estimate. If you need help with your waste clearance in N2, East Finchley, let us be the ones to give it to you. You won’t believe the amazing quality of service and the low prices we provide to our clients in the N2 region. All you have to do is pick up the phone and call Go Rubbish Go for more details. We’ll be more than happy to help you deal with any waste removal East Finchley, N2. Furthermore, we will give you a money back guarantee on all our waste collection services! So call 020 8610 9182 today for a free quote and let’s get shifting that rubbish! Save big if you call now! What's so Special About Our East Finchley Rubbish Disposal Service? Our waste removal services are outstanding, there is no denying that. Maybe you do not have time to clear your waste or perhaps you don’t want to drain your precious hours picking up and throwing away junk. Whatever your reason, we want you to know that we are right here if you need professional help. With our waste disposal in N2 East Finchley, you won’t have to pick up a single bit of rubbish nor will you have to waste any precious hours of your time. You see, believe it or not, we know how frustrating a rubbish removal can be. After all, we deal with all sorts of situations all the time. But the difference is that we have experience, the right tools and the time. My loft in East Finchley had become a real tip – whenever I had something I didn’t need but didn’t want to throw away either I tossed it up there. At one point I decided I had to do something about it and booked a rubbish removal service with this company. Very happy I called them up; they’ve really proven themselves as the best team for the job in N2. Why Won’t You Find a Better Rubbish Removal N2 Team Than Ours? It’s really true. You won’t find a better, more professional, and more dependable team than the one we have gathered over the years. They are excellent at what they do and you are guaranteed to be impressed with their work. So if you would like a top-quality rubbish removal job done, hire us and we’ll send our team of trained experts over to clear away your rubbish. Our waste clearance service in the N2 area is truly terrific and it will be hard to find a more dedicated team than the one we have. Each individual on our N2 waste collection team is outstanding and efficient, as well as polite and friendly. We make sure that any rubbish we receive gets recycled, whenever possible. There are so many people in the world who are wasting so much and this is just depleting the Earth’s resources. Do the kind and sensible thing and stop the wastage. Start recycling instead! All in all, there are no benefits at all to wastage. With our rubbish disposal N2 service, we try to recycle absolutely everything we can. You won’t find a more caring company than us. 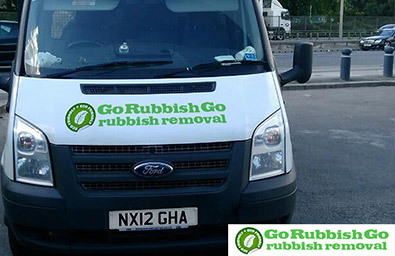 Call Go Rubbish Go now on 020 8610 9182 if you have any questions or want to book our rubbish removal services today. East Finchley is part of North London and the Borough of Brent. It is close to Finchley Central, Fortis Green, Crouch End and Highgate. Much of today’s East Finchley used to be part of Finchley Common – a hunting ground of the Bishop of London. The local housing is a mixture of a number of architectural styles – from terraced houses built in the 1800s and council estates constructed in the 1960s to large houses from the 1930s and modern mansions worth millions of pounds. There are a few state primary schools and 2 secondary schools in the area and a public library in a Neo-Georgian style. Phoenix Cinema is an independent cinema housed in the oldest building in the UK purposefully constructed as a cinema. Cherry Tree Wood is a local park that covers both grassland and woodland.